Football news: Tomas Rosicky eye Premier League Title. 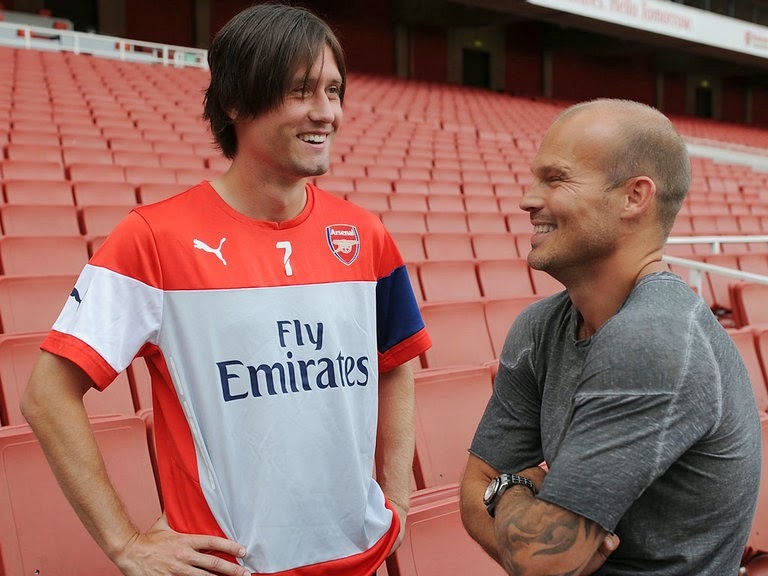 Tomas Rosicky eye Premier League Title. Arsenal midfielder Tomas Rosicky eye EPL top spot. Rosicky says they are determined to win the title this term. "Last season we were there for a big period of time. We didn’t make it to the end. "We had troubles at the end. We showed last season we are there and now we have some great new players. Rosicky, who is entering his ninth season at Arsenal after arriving from Borussia Dortmund, insists he never thought of leaving as he was determined to help the club win silverware. "It is a big club with big ambition and for me it was always worth fighting for it. "That’s why I have been here so long.